I never had spanish food before though I saw so much on the Travel and Living channel. It was a long time ago but I recall seeing one of the TLC hosts stirring a huge pan of paella and at that point in time, I told myself I had to try it someday. When mum came home from the US, she kept describing how scrumptious the paella she ate in disneyland was. Needless to say, I was jealous- I needed to try it for myself! Don Quijote is located in Lorong Kilat, and they have a branch in Dempsey too. 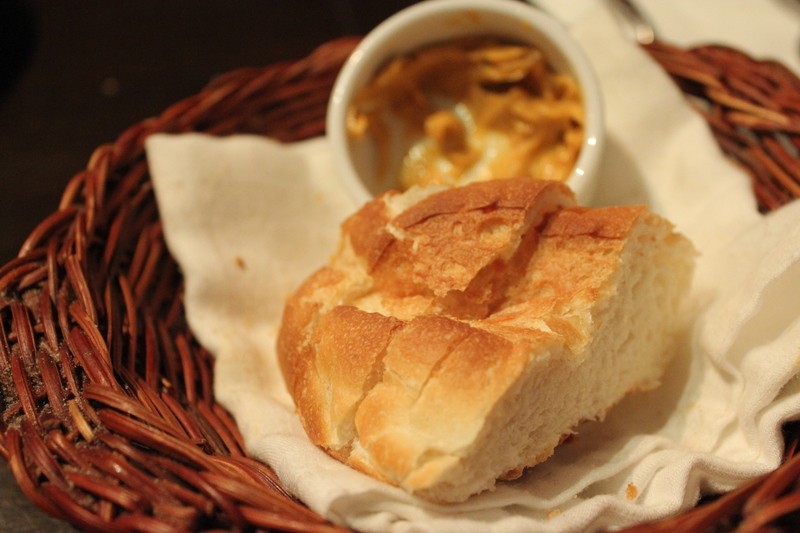 Complimentary bread put the meal off to a good start. The parents enjoyed the tasty dip provided at the background. Small crunchy toasties came alongside a cold dip of scallop meat, crab and avocado topped off with a dash of paparika powder. We slathered generous amounts of this spread onto a toastie and took a bite. The cold creaminess of the avocado brought all the flavours of the seafood, slight heat from the paparika and sourish sweetness of paste together. What a tasty spread! If you like alcohol, I’m pretty sure you will enjoy the Sangria here. 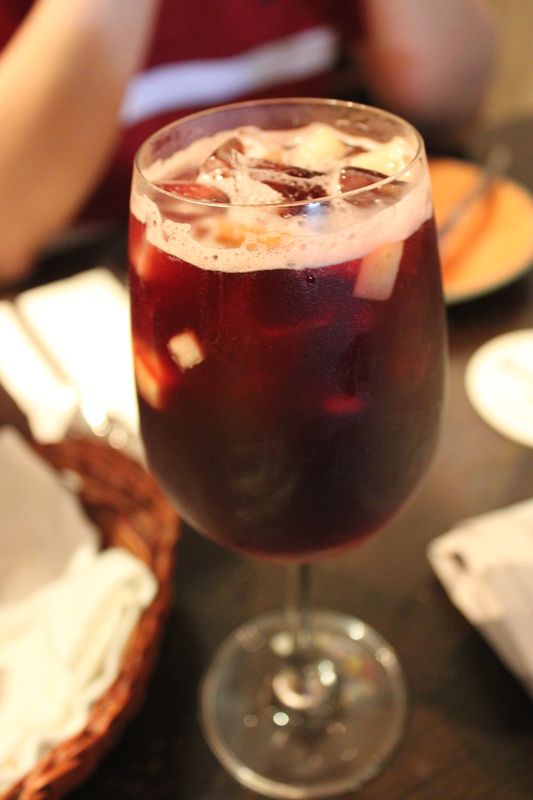 Sangria is basically a mixture of different spirits, wine and fruit juice. Dad said it was refreshing and the spirits used were new to him. Our waiter later told us that all these were spirits specially imported from spain, so it was not surprising dad never tasted them before. 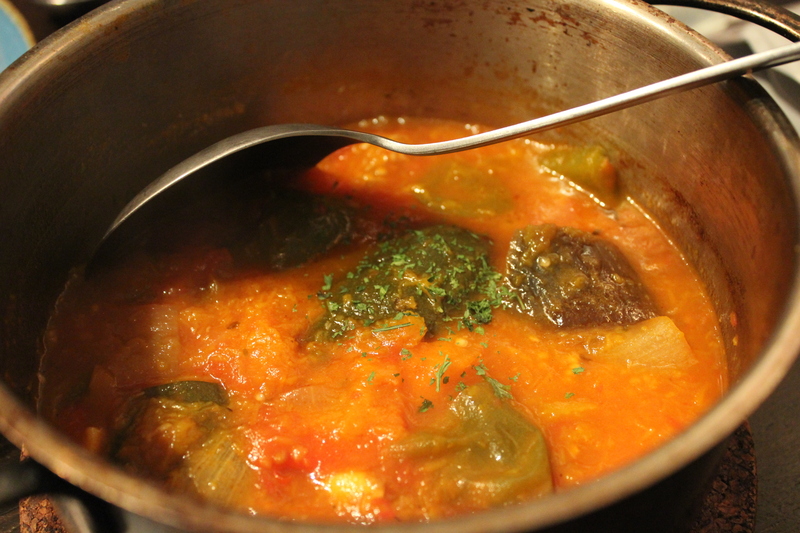 The mixed vegetable stew had all my favourite vegetables inside. Red and green bell peppers, tomatoes, pumpkin, zuchinni, eggplant, onions etc. 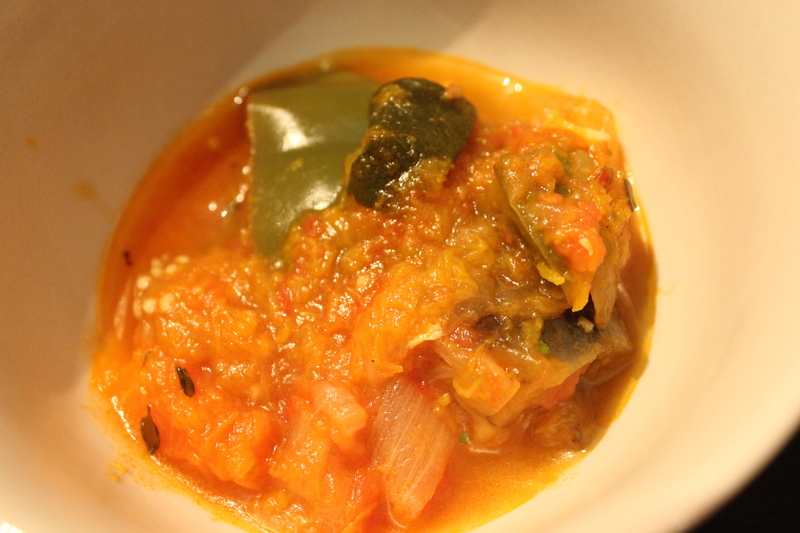 All reduced and simmered into a mash at the bottom of a small pot, what was left was a flavourful and hearty vegetable stew. This would have been perfect as a meal alone on a cold winter night together with a chewy baguette don’t you think? 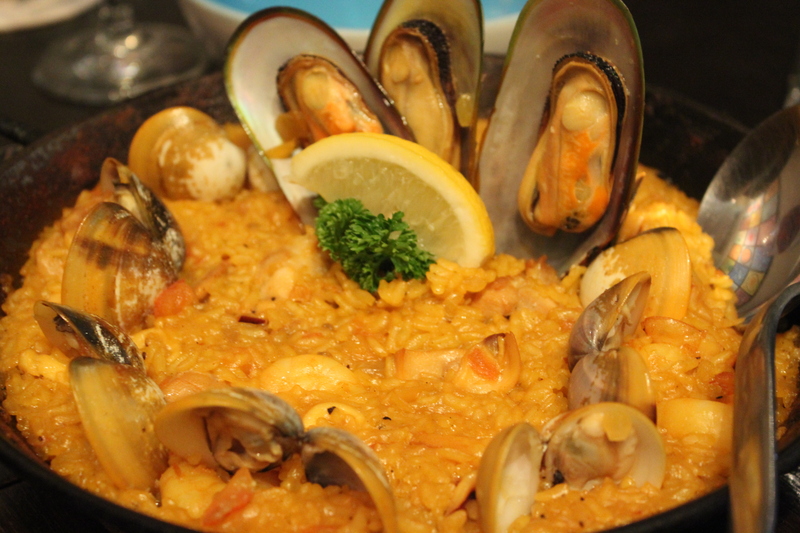 It took awhile but what we came for, paella, finally arrived piping hot in a pan of its own. 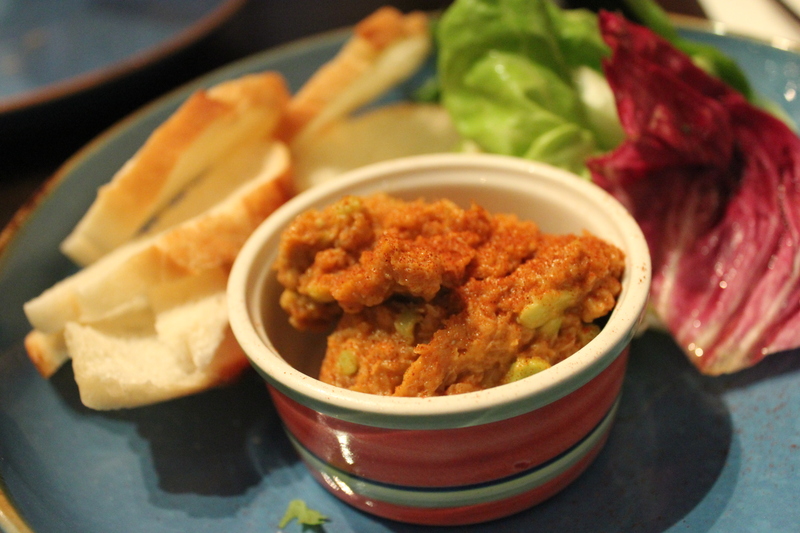 The portion is actually not very big, good for about 2 people together with 1-2 tapas. We realized to our chagrin that we under-ordered this round. The rice grains are different from the usual, they resembled calrose rice but our waiter told us they were specially imported from spain. He refused to tell me the grain, saying that it was a trade secret, haha. The fluffy grains saffron infused rice was lovely to say the least. Be sure to ask for it to be done al dente, because you are actuallly given a choice here. Together with the ingredients mixed inside- tender chicken pieces, crunchy shrimp, clams and mussels – I concluded it was pure comfort food. I can also see why it’s considered to be communal food in spain. No frills, just scoop as much as you one from the pan plus it can be cooked in bulk and still taste good! 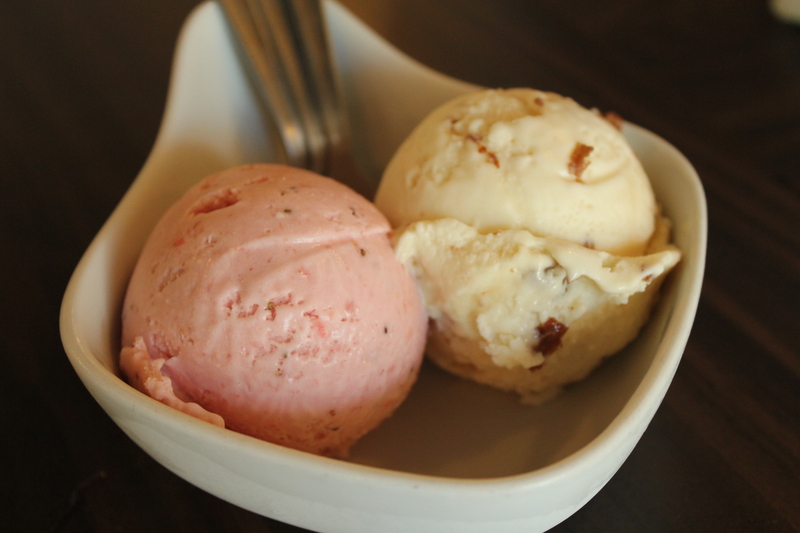 After that we headed over to Udders for a dessert fix. Strawberry Fields was a wrong choice, didn’t like the whipped cream like taste- ugh. There seems to be some consistency issues, the ice cream I had in westmall was too dense while the one here is too airy, how bizarre. But I admit Udders executes their alcoholic flavours pretty well. Rum Raisin impressed dad for the potent alcohol kick and the well soaked raisins.